Celeste Dupuy-Spencer’s paintings and drawings build upon the intersections of sociopolitical narratives and commonalities within the human condition. Her often figurative work holds an inventory of memories and moments that, when brought to the fore, seems to enact a therapeutic release. The everyday and subtle moments of life she captures are, upon closer inspection, deeply layered, systematic, and tied to specific historical trajectories. 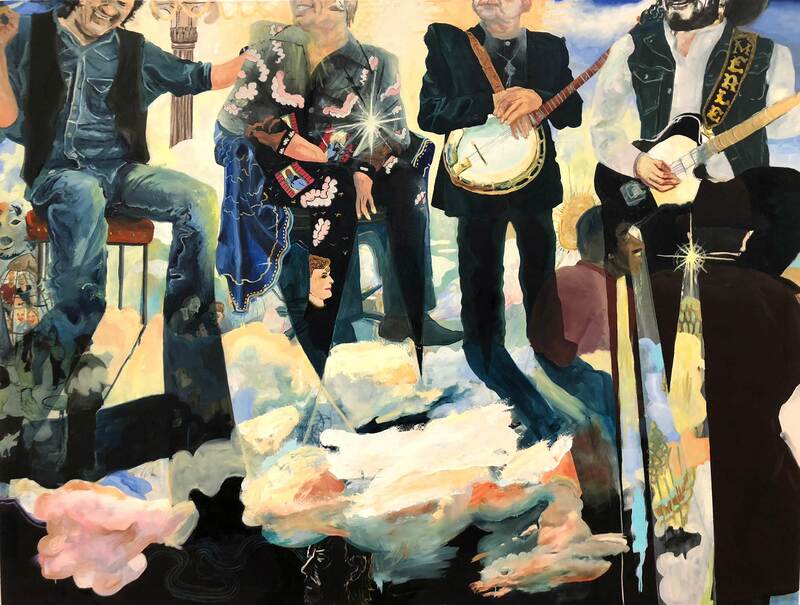 The artist, who grew up in rural upstate New York and then briefly relocated to New Orleans, is now rooted in Los Angeles, and she paints her community: her friends, lovers, family, and favorite sports teams. Through this focus on people, the artist generates a microcosm of the ever-evolving nature of the country. 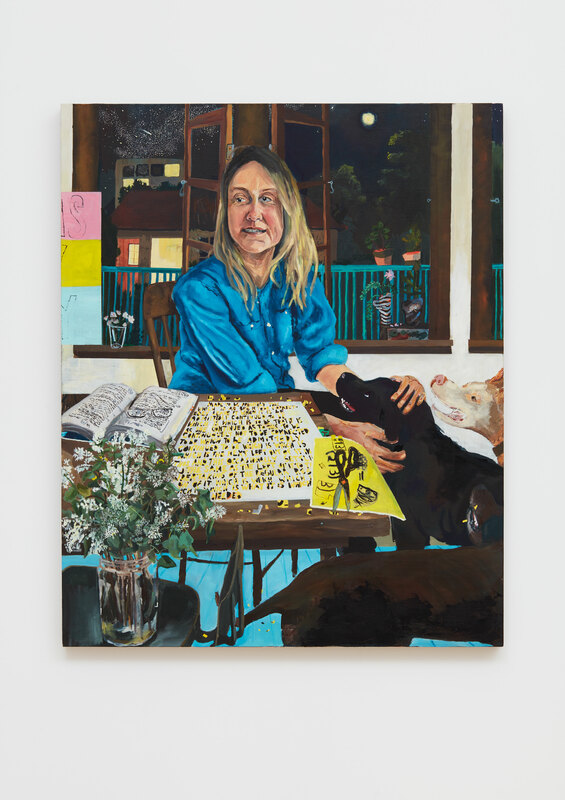 For Made in L.A. 2018, Dupuy-Spencer presents recent paintings and works on paper that serve as snapshots of her everyday experiences and insights. Created for the exhibition, Eve, is dedicated to her friend, the artist Eve Fowler, who is pictured enjoying an evening immersed in her work while taking a moment to embrace her puppy. Fowler is the co-founder of Artist Curated Projects, an art space that is run by and for artists. Dupuy-Spencer honors Fowler for being a fundamental figure in the Los Angeles art community and, more importantly, for creating space and offering support for queer and non-male artists. Celeste Dupuy-Spencer (b. 1979, New York, New York) works in downtown Los Angeles. She (almost) received her BFA from Bard College in 2007. Her work has been exhibited at the Whitney Biennial, New York (2017); Marlborough Contemporary, New York (2017); Max Hetzler, Berlin (2017); Mier Gallery, Los Angeles (2016); Mitchell-Innes & Nash, New York (2012); Museum 52, New York (2011); Museo Tamayo Arte Contemporáneo, Mexico City (2010); San Francisco Museum of Modern Art (2010); MoMA PS1, New York (2009); and Bronx Museum, New York (2008).